I hate April Fool’s Day on the internet. Some pranks can be funny, but mostly they just make me feel frustrated and annoyed. Plus, I always feel kind of Debbie Downer-ish on April 1st. Four years ago, on a bright, shiny, April 1st morning, I almost died. On Easter morning, my pastor mentioned in his sermon that he had never had a near death experience. That he had never felt outside his own body while teams of healthcare professionals worked to save him. He went on to talk about how he had felt life-less, though, had experienced darkness, despair, depression, and how this life-less-ness is something we all can relate to, a reason we all need to experience the Life Abundant that Jesus offers. I appreciated that message. But as I sat there, I must admit that I missed a lot of the sermon, because I have had that near-death experience. I have felt suddenly all too aware of my body’s own frailty. As my heart failed and my lungs filled with fluid, my body became a prison. As respiratory therapists, nurses, and doctors fought to save me, I felt helpless and panicked and irrational. I pushed masks meant to help me breathe away because they felt suffocating. I fought the people trying to save me as I fought for my life. And in the middle of it all, I remember thinking, they’re going to have to sedate me, or this is never going to work. Flashes of lucidity in the middle of sheer panic and terror. I remembered all of that on Sunday morning, and so I distracted myself grinning at a small boy in front of me wearing a seersucker suit instead of going there in my mind. This is actually a picture taken during the girls’ delivery, not of me when I was intubated. It’s a weird thing to be a person in the world after something like that. Around the first year anniversary mark, I was having panic attacks and intense anxiety, because I’d been so busy keeping twins alive, I never really got a chance to process what happened to me until a year later. Now, four years later, I mostly forget about that time I almost died. I can tell the story in such a way that it makes people laugh, even. Or I can shock even healthcare professionals as I tell it in as vivid a way as possible. Somehow the process of turning an experience into an anecdote has placed some distance between me and the intensity of the feelings I have about that trauma. Also, though I take pills every day to keep my heart from every doing THAT again, I mostly don’t think about it too much. 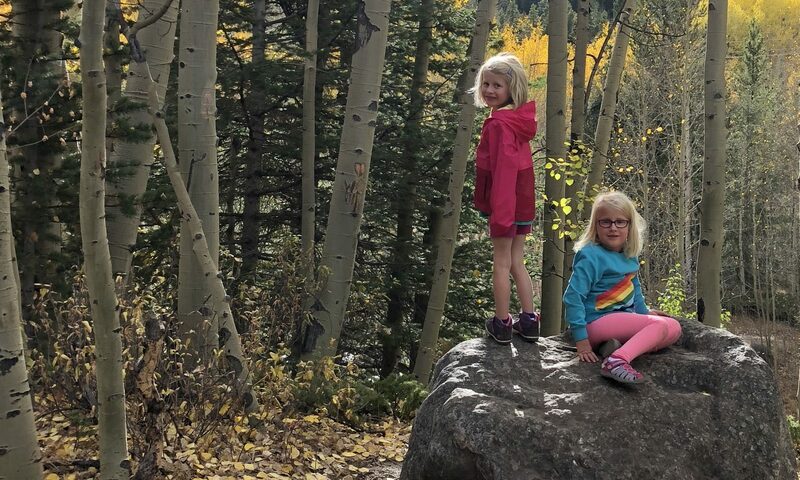 But sometimes I’m reminded unexpectedly, or something brings it up– someone asks if I’m going to have any more kids, for example–and then I remember that time I almost died. I’m usually sorry I have to mention it, like I need to spare the other person from the news of my trauma. I worry about becoming That Girl Who Won’t Stop Bringing Up That Time She Almost Died. Do people want to avoid me in case it comes up? I can’t imagine it’s really what anyone wants to hear about over cocktails. I’m even wary of writing too much about it for fear this blog becomes That Downer from that Girl Who Almost Died Once and Can’t Seem to Get Over It. But I can’t avoid this day. It’s a marker of time for me. I was a different person before April 1, 2012, and I’ve been a different person ever since. Sometimes I think my experience made me fearless, because nothing short of death itself can ever be as scary as that day was. Other times I think it made me feel more fragile, a little too aware that it could all be over in a blink, more than a little afraid that it will be. On this anniversary, I’m not much of a person who can take a joke. I feel a little bit raw and a little bit fragile, though I am also pretty sure each year will lessen those feelings as I put more distance between myself and the trauma of that day. I hope so. I remember the post you wrote as soon as you were well enough to write. It was so scary even for your readers. It’s okay to talk about it, life and death events are a daily thing but when you live to tell about over and over, it helps you through the process. We all know that! Keep talking it about it, sometimes we just take life for granted. Thank you, Lois! I am so thankful to have people like you supporting me over all these years! What a wonderful post. I’m coming up on a similar anniversary and was having a little think about it — being grateful that I am just where I am almost two years later — when up popped your story. It was a beautiful read, thank you. All the best, much aloha! Here’s hoping 4/1, and all 364 days a year, go relatively unscathed. Stay present, which is easier said than done. You are one brave lady. Next PostNext a spanking for frances?